Heroes come in all ages and sizes. 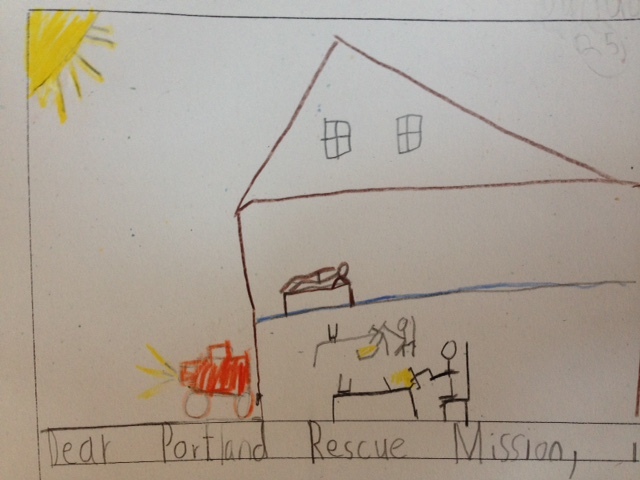 At Portland Rescue Mission, some of our biggest champions are second grade students at Oregon Episcopal School. 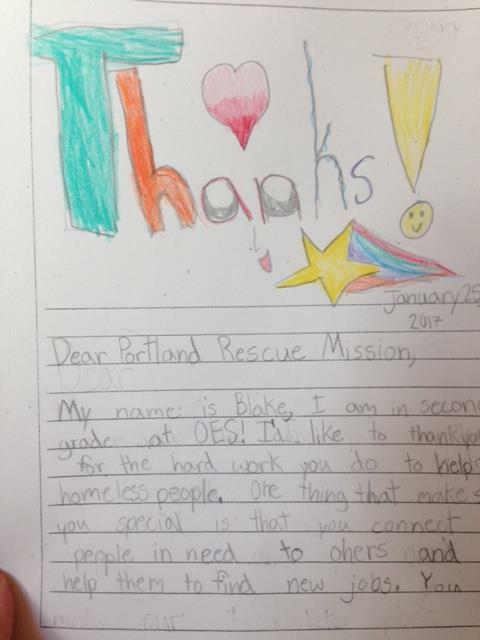 With a heart to learn about their city and find the heroes making a change in Portland, several of the students wrote letters of gratitude to the staff at Portland Rescue Mission. “Each student told their teacher what topic in their community they were passionate about,” said Kristen Haferbecker, Service Learning Coordinator at the school. The kids picked issues they believed needed addressing in Portland and researched organizations meeting those needs. 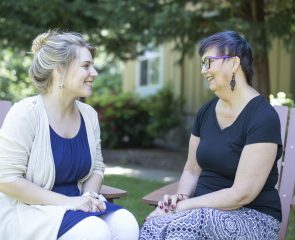 “They do a really in-depth study of heroes, what makes a hero and how a hero uses their powers for good to make a change in our world,” said Kristen. So the children used their power of writing to create a whole lot of good. And their hearts shone through. Written in their best handwriting, and including hand-drawn pictures, the children sent us their gratitude. “I want to thank you for your hard work you do to help serving hot meals,” said Alexa. “You provide clothing and toiletries,” said Cyrus. “You make our city a better place because without you, people would suffer,” said Alexa. 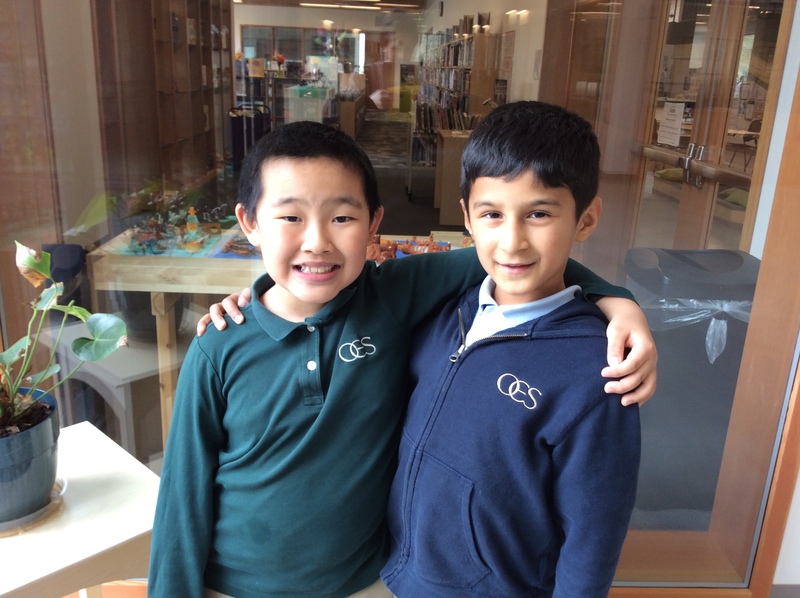 “These second graders really took to heart this task and were immediately invested in this idea that their words were going to go out into our community and be received by others doing good work,” said Kristen. “There is little more inspiring than having the support and love of a child. 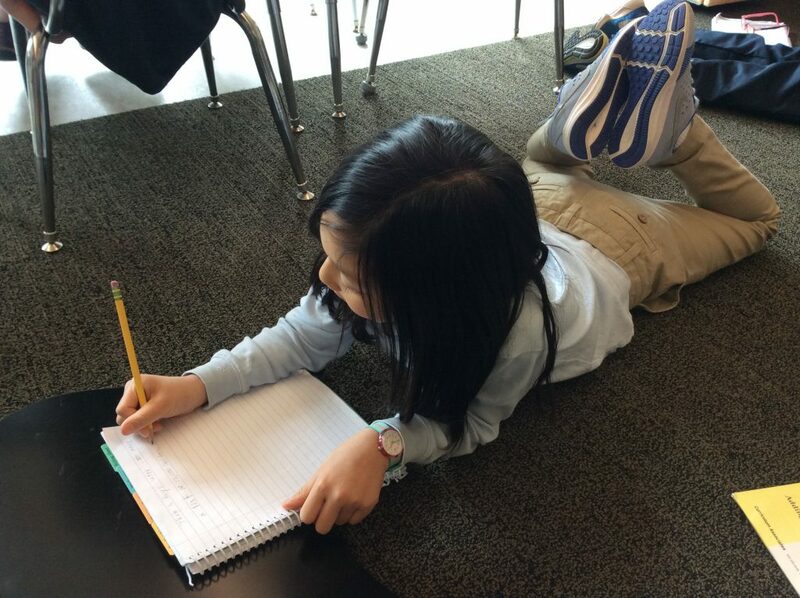 None of us knew we would be receiving such letters, and it brought us such joy to read the encouraging words of Ms. Kristen’s second graders,” said Andrew Hall, Guest Care Manager at The Burnside Shelter. “Their letters now hang in our office as a reminder of what we do, who we do it for, and the community that supports us. 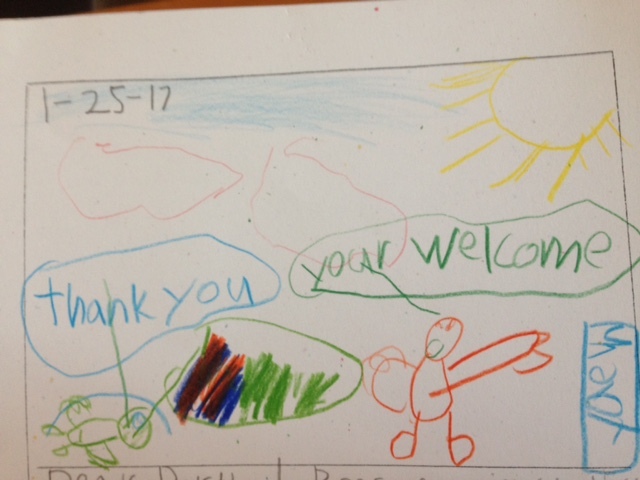 A HUGE thank you to Alex, Alexa, Blake, and Cryus for thinking of us and taking the time to bless us through their sweet art,” said Andrew. 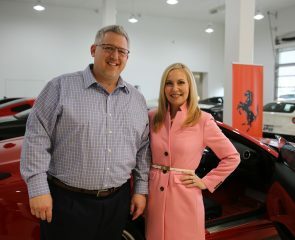 “It’s just such a great thing to be able to connect them with this work in big and small ways,” said Kristen. On behalf of all of us here at Portland Rescue Mission, thank you Oregon Episcopal School for using your power for good. Your words of encouragement fuel us to keep serving men, women and children in need. Thanks for also being heroes!